Remember how Apple banished all Bose products from its retail stores across the globe, as well as online? That said, Bose is back on the online Apple Store after a break of almost 2 months. Apple had earlier removed all Bose products from its stores after the company’s acquisition of Beats Electronics, and a patent infringement lawsuit that was filed by Bose against Beats over its production of a specific line of headphones. Apple has started stocking up on the Bose QuietComfort 20i earphones, the Bose SoundLink Mini Bluetooth Speaker and the Bose SoundLink Bluetooth Speaker III. So yes, it’s just three products for now, but maybe it’s a start? Interestingly, there are no over-the-ear headphone offerings from the audio maestro available right now, and given how actively Beats headphones are being promoted by Apple after acquiring the company, displaying Bose headphones may serve as a conflict of interest, and we may not see Bose over-ear products being sold at Apple Stores anytime soon. 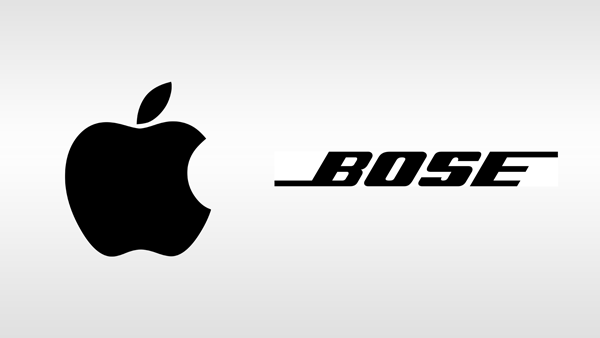 A report suggested that some French Apple retail stores were also receiving shipments of Bose products, so it is more than likely that we will soon be seeing Bose return to the retail outlets as well, though the shipments may be missing the headphones range from the company. Earlier when Bose filed the lawsuit against Beats, it was settled out of court by the two companies and all of this happened before Bose products were removed from Apple’s shelves, so it could be that this removal was part of some agreement in conclusion to their out of court settlement. There’s more bad blood between the two companies. After the NFL debacle a few months back, where Bose, which is a huge NFL sponsor, signed a deal that banned players from wearing Beats headphones during games and press conferences, something that was not taken kindly to by Jimmy Iovine – Beats’ co-founder. However, Bose is not the only one to have received this treatment from Apple of being removed from their stores, with fitness trackers from Fitbit being pulled from all retail and online Apple Stores as well. Are you happy to see Bose make a return to Apple Stores? Do share your thoughts with us on the matter.